The name Waldlaufer has stood for the highest quality shoemaking for several decades. Our shoes are tailored specifically to the various needs of our customers. They belong to a personal lifestyle, like your choice of clothes, and quickly mean more to our loyal clientele than just regular shoes. The perfect handcrafted finishing and meticulous precision in the individual production stages that we have require a high level of dedication and commitment. Alongside the highest quality manufacturing, the choice of material must also be right. We use only the best quality leathers, and leave these as natural as possible so they remain soft and breathable. Leather lining and an especially narrow heel fit are standard features with all of our shoes. All of our footwear possesses a super light air cushioned sole, with a 20-35mm height heel. The footbeds can always be removed and therefore all our products are suitable for orthopedic inlays. Our removable inlays are fine tuned to the individual requirements of our customers. They are leather covered and matched to the respective shoe style. You can benefit from thick cork footbeds with orthopedic features as well as our renowned pro active footbed with massaging and relaxing characteristics. While many companies make shoes in different widths, we design footwear to look good on specific types of feet. Because there are shoes that flatter a wider foot but would be less attractive on a narrow foot, and vice-versa, every Waldlaufer style is constructed with a particular foot in mind. Almost all of our style names begin with the letter for the corresponding European width, so it’s easy to understand how each is designed to fit. 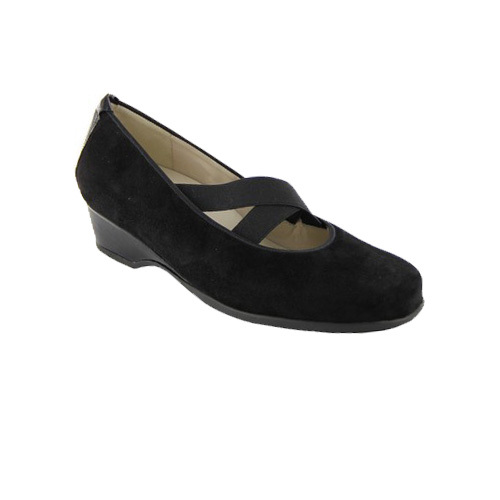 For example our Kitti Loafer is a “K” width, which fits like an American wide. See the table below for all our European width conversions.